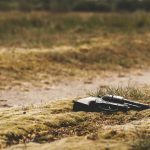 Discipline can be one of the hardest parts of parenthood. So, finding a tool that helps parents communicate with their child in times of trial is very important. Parents of toddlers, especially very active, passionate, and heated toddlers, often have to go through a number of different tools to find a those that work. 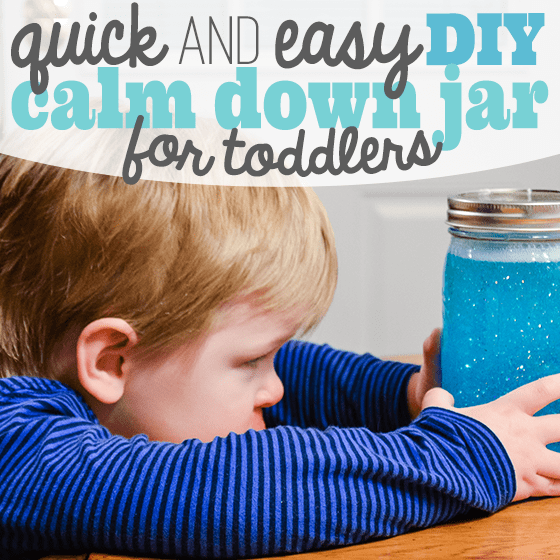 A "calm down jar"can be a great tool to help toddlers during tantrums. 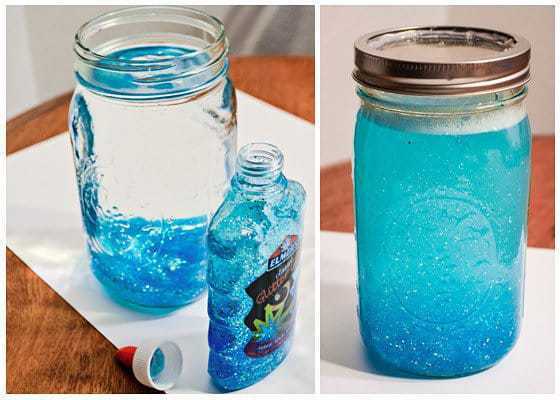 Read on to learn how to make a quick and easy jar for your toddler. "Calm Down Jars" can really come in handy when the red begins to appear on your toddler's face. This simple and easy-to-make jar gives your toddler something to focus on when things get upsetting. Simply shake the jar and give it to your toddler to hold. 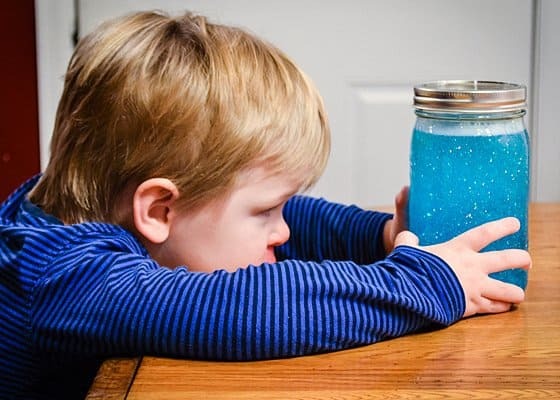 Encourage him to focus on the glitter as it settles on the bottom of the jar which many toddlers find mesmerizing and calming. For older kids, you can encourage them to visualize the things that are upsetting them as "settling down" just as the glitter does. Using this jar as a coping skill is especially great for toddlers and children prone to anxiety. Ready to make one? It's simple! Glitter Glue *If you cannot find Elmer's Glitter Glue you can also use CLEAR Elmer's Glue and add a glitter of your choice. Clean your mason jar and remove all stickers. Pour hot water into your jar. Fill to the neck of the jar (the glue will take some space but not much). Pour the Glitter Glue into the jar. 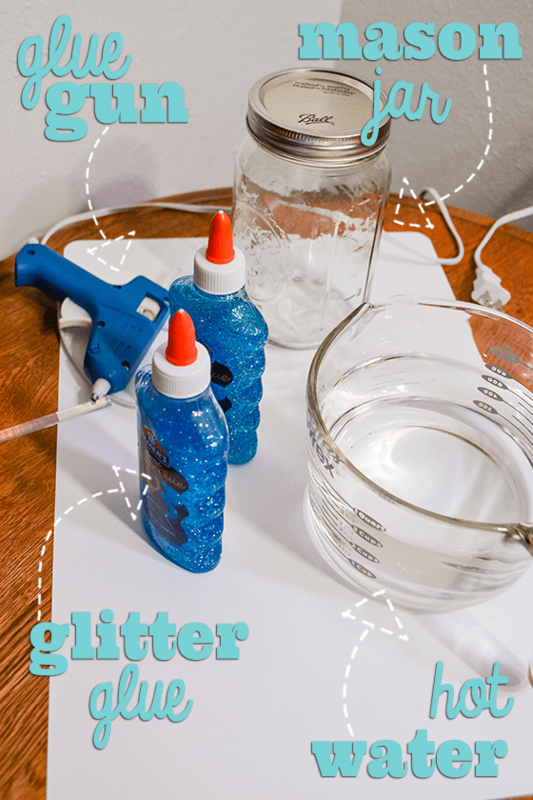 *Tip: The more glue you add to the water, the longer it will take for the glitter to settle. Using a plastic spoon or dowel, simply stir the glue around. The hot water will break up the glue. If it doesn't then the water is not hot enough. Screw the lid onto your jar. Using the hot glue gun, seal the lid to avoid any leaks. Eventually your Calm Down Jar will be a tool that a toddler may ask for when he sees it on the kitchen counter - and maybe even decide to use it when he isn't in crisis. 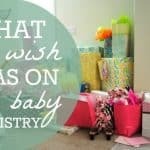 The floating glitter is a calming treat for the toddler, and you'll feel good to knowing he's learning coping mechanisms especially during a complex time of development. Be careful when using this jar with your child. 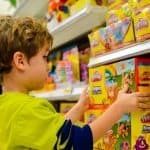 If you feel like he or she will throw the jar it, it might be better to find a plastic version or just refrain from giving the jar to your child if he or she is too worked up. 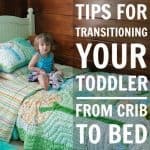 What other creative ways have you found to calm your high tempered toddler? Liked this craft? 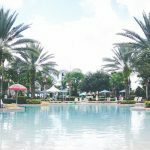 Check out some other crafts and activities on Daily Mom! Censie lives in Colorado with her husband, 3 year old son and 1 year old daughter; Jude and Teagan. She is a full time working mama at a local non-profit. Other interests include reading, scrapbooking and trying new recipes. 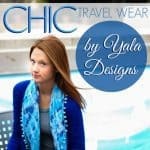 Follow her family of four in Colorado as they chat about family life, good reads and yummy eats at Building Our Story.